San Francisco, Aug 23 (IANS) Global software major Infosys has inaugurated its fourth technology and innovation hub in Raleigh, North Carolina, saying that it has now hired more than 4,700 Americans since spring 2017, including nearly 500 in North Carolina. The North Carolina hub will help Infosys work more closely with clients in the region in areas as Machine Learning, Artificial Intelligence, user experience and advanced digital technologies, including big data and Cloud, the company said in a statement late on Wednesday. The Hub will train, upskill and reskill Infosys and client employees, in the technologies required to help American businesses accelerate their digital transformations. 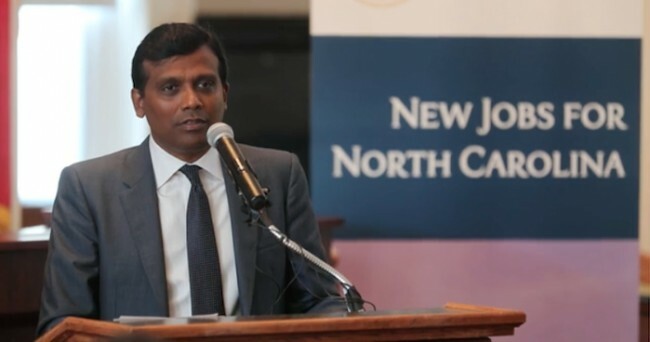 “The inauguration of our Raleigh Technology and Innovation Hub empowers our North Carolina employees by providing them with pioneering technology training that will help American industries revitalise their core businesses,” Infosys CEO Salil Parekh said in a statement. “The hub allows us to co-locate, co-innovate and co-create alongside our clients and build on our passion for creating the next generation of top US technology talent through world-class education and training,” Parekh added. The hiring is part of the company’s May 2, 2017, decision to recruit 10,000 Americans by setting up four such hubs across the US and focus on new technologies. “Just over a year ago, Infosys committed to creating 2,000 high-skill, high-wage jobs in the Tar Heel State. The company is making strong progress towards that hiring target,” noted North Carolina Governor Roy Cooper. In March this year, Infosys said it will open a technology and innovation hub in the US state of Connecticut and hire about 1,000 American workers by 2022. The company’s first hub was inaugurated in March at Indianapolis in Indiana state where it hired 2,500 American workers over the past year. The company has also announced opening its third hub at Providence in Rhode Island, where it plans to hire about 2,000 techies each by 2021-22. “Today’s Hub inauguration represents another major step forward for Infosys in North Carolina. We have formed strong partnerships with the state’s economic development team,” said Ravi Kumar, President, Infosys.